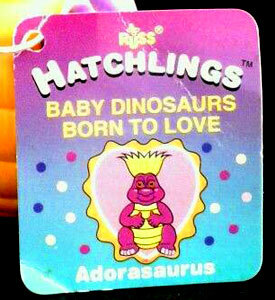 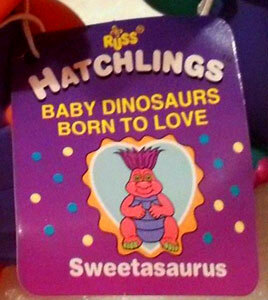 "Baby Dinosaurs born to love!" 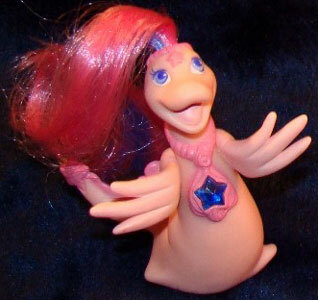 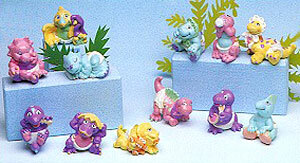 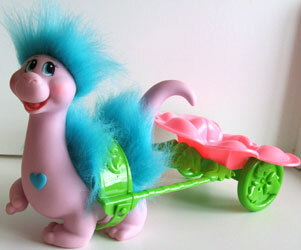 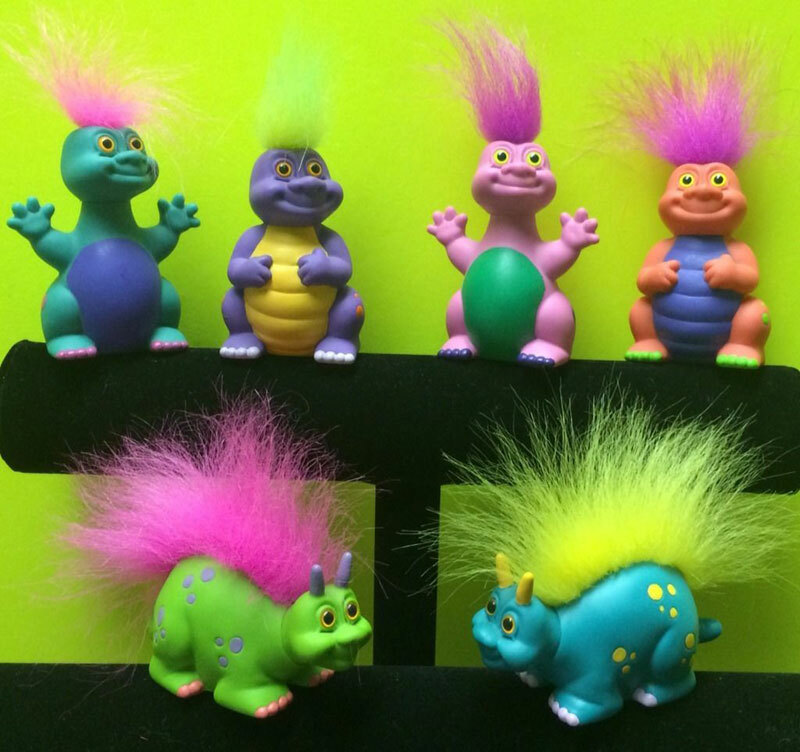 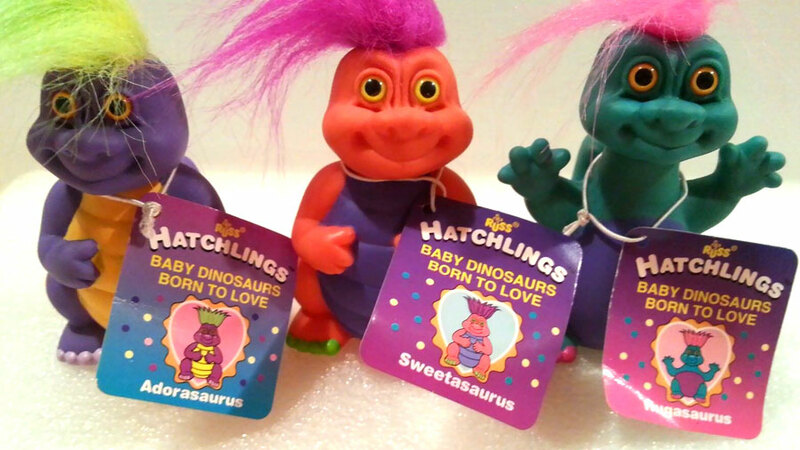 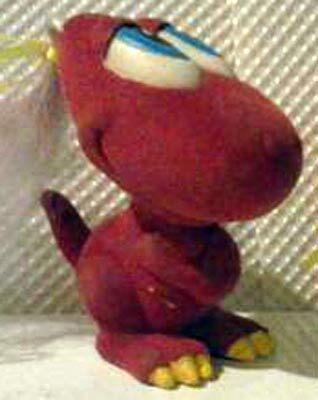 Hatchlings were produced by Russ in 1994 and were a series of six troll-looking dinosaurs. 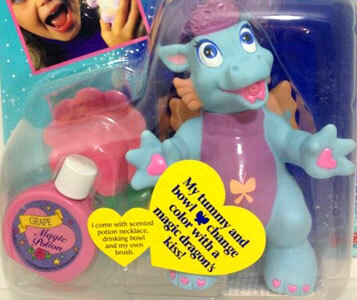 There don't appear to have been any other related items sold. 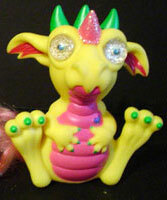 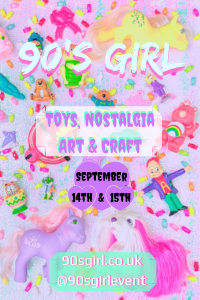 Images on this page thanks to eBay seller cellar2belfry , meauk46 , Ms Bear's Honey Hole , toomey.collectibles , thetrollgarden , lemonade_stand_247 and mcbam66 ! 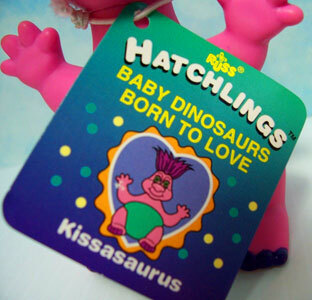 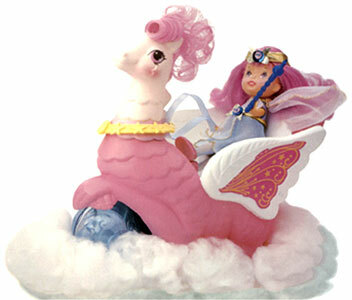 View all Hatchlings on eBay.com or eBay.co.uk ! 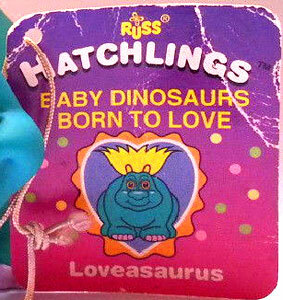 There were six Hatchlings produced using three different moulds. 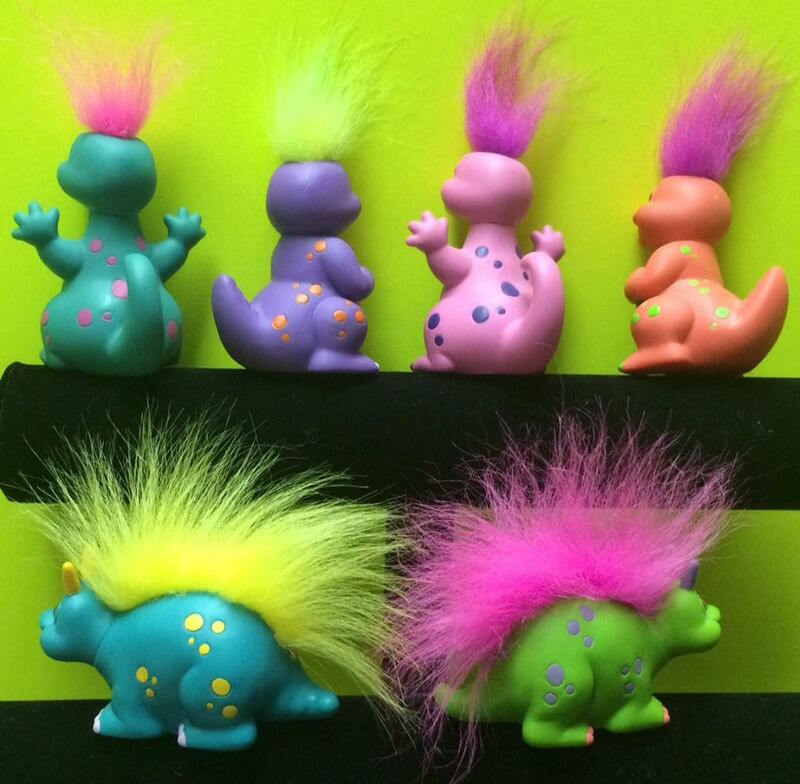 They measured about 3 to 3.5 inches high. 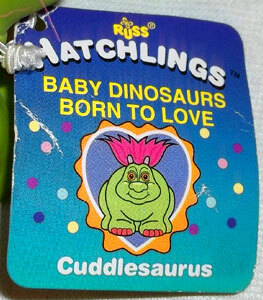 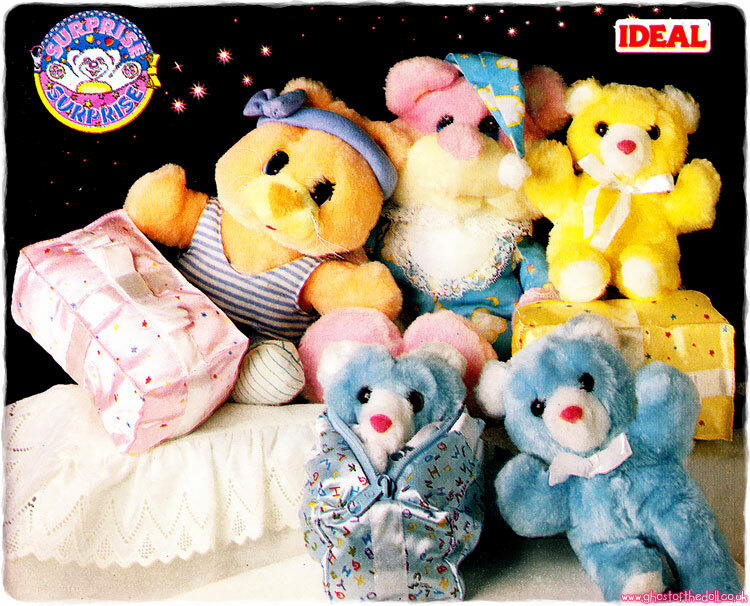 They were sold unpackaged with a simple label on elastic around their necks. 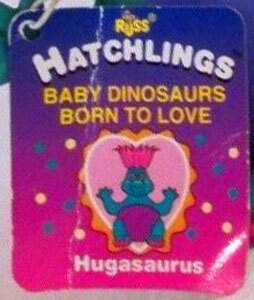 Each label had a picture of the Hatchling and its name.